If you have any questions you can fill out the form at the bottom of the page or you may contact me directly by phone at 336-345-1377. Please make sure and reference the tack you are asking about in your email. Tack is available to be shipped or you may come to the farm. Please make sure you add the shipping to your shopping cart when checking out. Shipping can be combined if buying more than one item. I hope you find something that you can use. All tack is used unless specified as new. 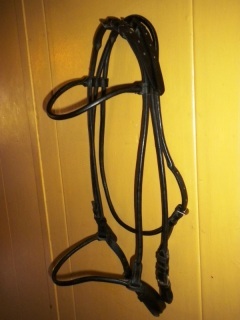 Black Rolled Leather English Bridle. Adjustable buckles at the poll. This is a beautiful bridle for the show ring or everyday use. Used in great condition. Stainless hardware. This bridle was bought new for $75.00. Additional pictures to the right. You an pick up bridle at the farm or I can ship for an additional fee. Please see shipping add to cart below. 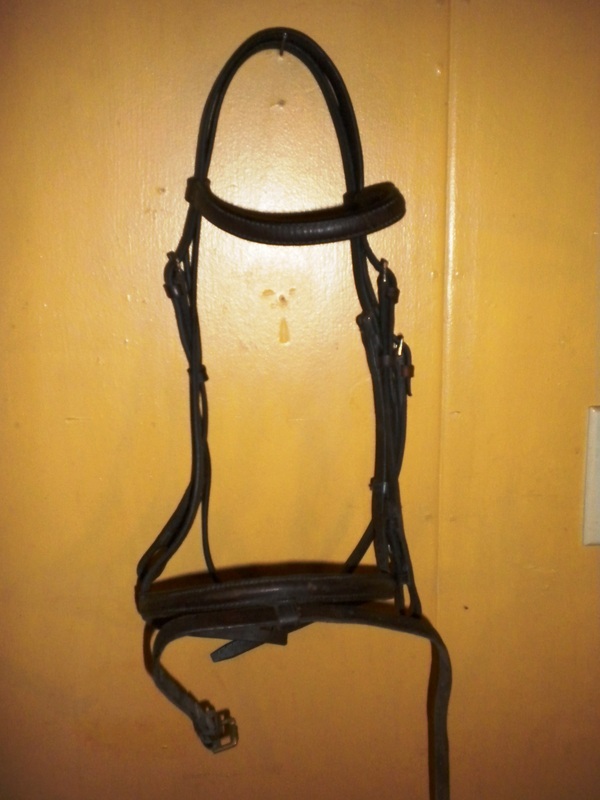 This used bridle is brown leather and horse size. Would make a nice starter show bridle for the open/local show level. It has hook and loop buckles for the bit and stainless hardware. Shipping is available for an additional fee or you may pick up at the farm. 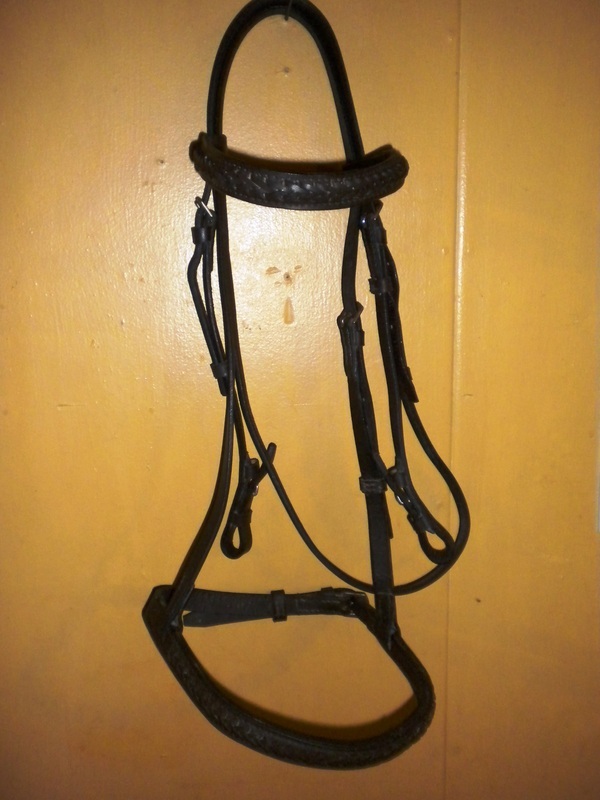 Please add shipping to your shopping cart if you would like me to ship your bridle to you. Good training bridle or just or everyday on the trail. This bridle has some wear on the noseband but otherwise in good shape. Stainless hardware with hook and loop for bit attachment.